Schimanski, L. A., & Barnes, C. A. (2015). Insights into age-related cognitive decline: Coupling neurophysiological and behavioral approaches.. In The Maze Book: Your Guidebook to Theories, Practice, and Protocols for Testing Rodent Cognition (pp 121-142). New York: Springer. Siniard, A. A., Corneveaux, J. J., DeBoth, M., Barnes, C. A., & Huentelman, M. J. (2015). RNA sequencing from laser capture microdissected brain tissue to study normal aging and Alzheimer’s disease. In Applied Neurogenomics (pp 111-120). New York: Spring. Gray, D. T., Smith, A. C., Burke, S. N., Gazzaley, A., & Barnes, C. A. (2017). Attentional updating and monitoring and affective shifting are impacted independently by aging in the macaque monkeys. Behavioral Brain Research , 322, 329-338. Han, P., Nielson, M., Song, M., Yin, J., Permenter, M. R., Vogt, J. A., Engle, J. R., Dugger, B. N., Beach, T. G., Barnes, C. A., & Shi, J. (2017). The impact of aging on brain pituitary adenylate cylse activating polypeptide, pathology and cognition in APP transgenic mice and nonhuman primates. Frontiers in Aging Neuroscience , 9, 80. doi:10.3389/fnagi.2017.00180..
Hay, M., Vanderah, T. W., Samareh-Jahani, F., Constantopoulos, E., Uprety, A. J., & Barnes, C. A. (2017). Cognitive impairment in heart failure: A protective role for Angiotensin-(1-7). Behavioral Neuroscience , 131, 99-114. Lester, A. W., Moffat, S. D., Barnes, C. A., & Wolbers, T. (2017). The aging navigational system. Neuron , 9, 1019-1035. Maurer, A. P., Burke, S. N., Diba, K., & Barnes, C. A. (2017). Attenuated activity across multiple cell types and reduced monosynaptic connectivity in the aged perirhinal cortx. The Journal of Neuroscience , 37, 8965-8974. Pacheco, S., Wang, C., Chawla, M. K., Nguyen, M., Baggett, B. K., Utzinger, U., Barnes, C. A., & Liang, R. (2017). High resolution, high speed, long working distance, large field of view confocal fluorescence microscope. Scientific Reports , 7, 13349. Samson, R. D., Lester, A. W., Duarte, L., Venkatesh, A., & Barnes, C. A. (2017). Emergence of beta band oscillations in the aged rat amygdala during discrimination learning and decision making tasks. ENeuro , 4(5) e0245-17.2017. Thome, A., Marrone, D. F., Chawla, N. K., Lipa, P., Ramirez-Amaya, V., Lisanby, S. H., McNaughton, B. L., & Barnes, C. A. (2017). Evidence for an evolutionarily conserved memory coding scheme in the mammalian hippocampus.. Journal of Neuroscience , 37, 2795-2801. Corenblum, M. J., Ray, S., Remley, Q. W., Long, M., Harder, B., Zhang, D. D., Barnes, C. A., & Madhavan, L. (2016). Reduced NrF2 expression mediates the decline in neural stem cell function during a critical middle-age period. Aging Cell . Engle, J. R., Machada, C. J., Permenter, M. R., Vogt, J. A., Maurer, A. P., Bulleri, A. M., & Barnes, C. A. (2016). Network patterns associated with navigation behavior are altered in aged nonhuman primates. Journal of Neuroscience , 36, 12217-12227. Penner, M. R., Parrish, R. R., Hoang, L. T., Roth, T. L., Lubin, F. D., & Barnes, C. A. (2016). Age-related changes in Egr1 transcription and DNA methylation within the hippocampus. Hippocampus , 26, 1008-1020. Thome, A., Gray, D. T., Erickson, C. A., Lipa, P., & Barnes, C. A. (2016). Memory impairment in aged primates is associated with region-specific network dysfunction. Molecular Psychiatry , 21, 1257-1262. Wiegand, J. -., Gray, D. T., Schimanski, L. A., Lipa, P., Barnes, C. A., & Cowen, S. L. (2016). Age is associated with reduced sharp-wave ripple frequency and altered patterns of neuronal variability. The Journal of Neuroscience . Witharana, W. K., Cardiff, J., Chawla, M. K., Xie, J. Y., Alme, C., Eckert, M., Lapointe, V., Witharana, A., Maurer, A. P., Trivedi, V., Sutherland, R. J., Guzowski, J. F., Barnes, C. A., & McNaughton, B. L. (2016). Nonuniform allocation of hippocampal neurons to place fields across all hippocampal subfields. Hippocampus , 26, 1382-1344. Burke, S. N., & Barnes, C. A. (2015). The neural representation of 3-dimensional objects in rodent memory circuits. Behavioral Brain Research , 138-148, 120. Gray, D. T., & Barnes, C. A. (2015). Distinguishing adaptive plasticity from vulnerability in the aging hippocampus. Neuroscience , 309, 17-28. Insel, N. N., & Barnes, C. A. (2015). Differential activation of fast-spiking and regular-firing neuron populations during movement and reward in the dorsal medial frontal cortex. Cerebral Cortex , 25, 2631-2647. Samson, R. D., Venkatesh, A., Lester, A. W., Weinstein, A. T., Lipa, P., & Barnes, C. A. (2015). Age differences in strategy selection and risk preference during risk-based decision making. Behavioral Neuroscience , 129, 138-148. Barnes, C. A. (2014). Biography - Carol A. Barnes, Ph.D. (Biography for APA Award for Distinguished Scientific Contributions. American Psychologist , 69, 730-732. Burke, S. N., Maurer, A. P., Nematollahi, S., Uprety, A., Wallace, J. L., & Barnes, C. A. (2014). Advanced age dissociates dual functions of the perirhinal cortex. The Journal of neuroscience : the official journal of the Society for Neuroscience , 34(2), 467-80. Burke, S. N., Thome, A., Plange, K., Engle, J. R., Trouard, T. P., Gothard, K. M., & Barnes, C. A. (2014). Orbitofrontal cortex volume in area 11/13 predicts reward devaluation, but not reversal learning performance, in young and aged monkeys. Journal of Neuroscience , 34(30), 9905-9916. Maurer, A. P., Lester, A. W., Burke, S. N., Ferng, J. J., & Barnes, C. A. (2014). Back to the future: preserved hippocampal network activity during reverse ambulation. The Journal of neuroscience : the official journal of the Society for Neuroscience , 34(45), 15022-31. Samson, R. D., Venkatesh, A., Patel, D. H., Lipa, P., & Barnes, C. A. (2014). Enhanced performance of aged rats in contingency degradation and instrumental extinction tasks. Behavioral neuroscience , 128(2), 122-33. Zelikowsky, M., Hersman, S., Chawla, M. K., Barnes, C. A., & Fanselow, M. S. (2014). Neuronal ensembles in amygdala, hippocampus, and prefrontal cortex track differential components of contextual fear. The Journal of neuroscience : the official journal of the Society for Neuroscience , 34(25), 8462-6. Chawla, M. K., Penner, M. R., Olson, K. M., Sutherland, V. L., Mittleman-Smith, M. A., & Barnes, C. A. (2013). Spatial behavior and seizure-included changes in c-fos mRNA expression in young and old rats. Neurobiology of Aging , 34, 1184-1198. Hartzell, A. L., Burke, S. N., Hoang, L. T., Lister, J. P., Rodriquez, C. N., & Barnes, C. A. (2013). Transcription of the immediate-early gene Arc in CA1 of the hippocampus reveals activity differences along the proximodistal axis that are attenuated by advanced age. Journal of Neuroscience , 33, 3424-3433. Lu, L., Leutgeb, J. K., Tsao, A., Henriksen, E. J., Leutgeb, S., Barnes, C. A., Witter, M. P., Moser, M. -., & Moser, E. I. (2013). Impaired hippocampal rate coding after lesions of the lateral entorhinal cortex. Impaired hippocampal rate coding after lesions of the lateral entorhinal cortex , 16, 1085-1093. Ramirez-Amaya, V., Angelo-Perkins, A., Chawla, M. K., Barnes, C. A., & Rosi, S. (2013). Sustained transcription of the immediate early gene Arc in the dentate gyrus after spatial exploration. Journal of Neuroscience , 33, 1631-1639. Samson, R. D., & Barnes, C. A. (2013). Impact of Aging Brain Circuits on Cognition. European Journal of Neuroscience , 37, 1903-1915. Schimanski, L. A., Lipa, P., & Barnes, C. A. (2013). Tracking the course of hippocampal representations during learning: When is the map required?. Journal of Neuroscience , 33, 3094-3106. Takehara-Nishiuchi, K., Insel, N., Hoang, L. T., Wagner, Z., Olson, K., Chawla, M. K., Burke, S. N., & Barnes, C. A. (2013). Activation patterns in superficial layers of neocortex change between experiences independent of behavior, environment, or the hippocampus. Cerebral Cortex , 23, 2225-2234. Barnes, C. A. (2017, April). Animal models of brain adaptation and compensation in aging . Cognitive Aging Summit III. Bethesda, MD: National Institute on Aging. Barnes, C. A. (2017, April). Behavioral Models of Age-related Cognitive Decline Session: Cross-species decline in cognition with aging: why don’t mammals other than humans spontaneously get Alzheimer’s disease . ASPET Annual Meeting at Experimental Biology 2017. Chicago, IL. Barnes, C. A. (2017, August). Neal Miller Distinguished Lecture: Temporal and frontal lobe correlates of memory decline in aging . American Psychological Association (APA) Convention. Washington, DC: American Psychological Association. Barnes, C. A. (2017, February). Aging is not a disease: Normal lifespan changes in brain circuits critical for memory . Distinguished Sackler Visiting Lecture, Collaborative Program in Neuroscience. Toronto, Ontario, Canada: University of Toronto. Barnes, C. A. (2017, February). An aging delimma: should I boost sustained or flexible attention . Winter Conference on Neural Plasticity. Grenada, Caribbean. Barnes, C. A. (2017, January). Impact of aging on neural circuits critical for memory . Graduate Program in Neuroscience Seminar Series. Seattle, WA: University of Washington. Barnes, C. A. (2017, June). Session Chair: Fixing memory: Interventions that target the hippocampus . Spring Hippocampal Research Conference. Taormina, Italy. Barnes, C. A. (2017, March). Brain circuit changes that contribute to age-related declines in cognition . Hagey Lecture. Waterloo, Canada: University of Waterloo. Barnes, C. A. (2017, March). Precision aging, how to keep your brain healthy as you age . UA Foundation Board of Trustees & National Leadership Council. 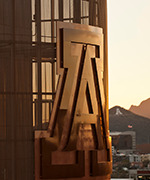 UA Foundation, Tucson, AZ: University of Arizona. Barnes, C. A. (2017, March). The ‘youngfield’ of neuroscience: one senior scientists’ retrospective . Student Colloquium. Waterloo, Canada: University of Waterloo. Barnes, C. A. (2017, November). Beyond Place Cells (Minimsymposium): Temporal lobe activity in nonhuman primates: Locomotion versus restraint . Society for Neuroscience Annual Meeting. Washington, DC: Society for Neuroscience. Barnes, C. A. (2017, October). Aging neural circuits: Impact on cognition . Department of Psychology Quad-L Lecture. Albuquerque, NM: University of New Mexico. Barnes, C. A. (2017, October). Animal models of cognition and cognitive assessment . U13 Bedside-to-Bench Conference Series. Sensory Impairment and Cognitive Decline. Bethesda, MD: American Geriatric Socity. Barnes, C. A. (2017, September). Impact of age on neural circuits critical to memory . Bryan Kolb Lecture in Behavioral Neuroscience. University of Calgary, Calgary: Calgary, Alberta, Canada. Do, L., Bernstein, A., Xiao, J., Barnes, C. A., Alexander, G. E., & Trouard, T. P. (2017, October). Advanced Techniques for Characterizing Rodent Brains with Diffusion MRI . Biomedical Engineering Society Meeting. Phoenix AZ: BMES. Barnes, C. A. (2016, April). Impact of aging on temporal lobe circuits critical for memory . Special Seminar, Kyoto University. Kyoto Japan. Barnes, C. A. (2016, April). Impact of normal aging on brain circuits critical for memory function . Special Seminar, Okinawa Institute. Okinawa, Japan. Barnes, C. A. (2016, August). Memory circuits in normal aging: excitability and adaptation . GRC on Mechanisms of Epilepsy and Neuronal Synchronization. Melia Golf Vichy Catalan Business and Convention Center, Girona, Spain. Barnes, C. A. (2016, February). Hippocampal cell activity in unrestrained nonhuman primates, session: Place cells across animal species . Winter Conference on Neural Plasticity. Maui, HI. Barnes, C. A. (2016, February). Impact of normal aging on circuits critical for memory . Neuroscience and Animal Behavior Graduate Program Lecture Series. Emory University, Atlanta, GA,. Barnes, C. A. (2016, January). Does the neural hardware in archicortex of birds, turtles, rats and monkeys perform similar computations? . Neuroscience Community Data Blitz. Museum of Contemporary Art, Tucson, AZ. Barnes, C. A. (2016, January). How does normal aging affect brain function and memory . Institute of Learning at Sun City Sampler Series. Catalina Visa Center in Sun City, Oro Valley, AZ. Barnes, C. A. (2016, July). Impact of aging on brain circuits critical for memory (Keynote address) . 6th International Conference on Memory. Budapest, Hungary. Barnes, C. A. (2016, July). Impact of aging on circuits critical for normal memory function . John G. Nicholls Lecture, Neural Systems and Behavioral Course. Marine Biological Laboratory, Woods Hole, MA,. Barnes, C. A. (2016, June). Recent progress in recording from completely unrestrained primates . 1st Interdisciplinary Navigation Symposium. Bad Gastein, Austria. Barnes, C. A. (2016, March). Aging is not a disease: normal lifespan changes in brain circuits critical for memory . William G. Lutte Lectureship in Neuroscience. University of Florida, Gainesville, FL,. Barnes, C. A. (2016, March). Cognition/Perception: Primate work on normative brain and cognitive aging . International Future Primate Neuroscience Symposium, Shenzhen Institute of Advanced Technology. Shenzhen, China. Barnes, C. A. (2016, May). Impact of aging on brain circuits critical for memory . Stanford Neuroscience Institute Seminar Series. Stanford University, Los Angeles, CA. Barnes, C. A. (2016, May). Normative brain aging: Why does it result in memory impairments? . Neuroscience Research Colloquia. University of British Columbia, Vancouver, Canada. Lukas, R., Fulton, G. W., Wesslehoft, M., & Barnes, C. A. (2016, September). (Panel Discussion), Beyond Alzheimer’s . Cavendish Health Impact Forum sponsored by Arizona Bioscience Community. Phoenix, AZ. Barnes, C. A. (2015, April). Impact of aging on neural circuits critical for memory . UT Austin Conference on Learning and Memory. Austin, TX: University of Austin. Barnes, C. A. (2015, April). Normal aging; what is the impact on the brain and memory? . UA Science Lecture Series. Ventana Canyon Golf and Racquet Club, Tucson, AZ: University of Arizona. Barnes, C. A. (2015, February). Normal aging: what is the impact on the brain and on memory? . Special Education Lecture. Yuma, AZ: Yuma Friends of the University of Arizona Health Sciences. Barnes, C. A. (2015, January). Learning and Memory in Aging . Yale Club Luncheon. Arizona Inn, Tucson, AZ: The Yale Club of Southern Arizona. Barnes, C. A. (2015, June). Extent of remapping due to context change differs along the CA1 proximo-distal axis. Functional specialization along the transverse axis of the hippocampus session . Spring Hippocampal Research Conference. Taormino, Sicily. Barnes, C. A. (2015, June). Session Leader: Temporal lobe contributions to representations in memory Session . Spring Hippocampal Research Conference. Taormino, Sicily. Barnes, C. A. (2015, March). Normal brain aging: Impact of circuits and memory . Cheves Smythe Distinguished Lecture Speake. Houston, TX: UT Health Medical School. Barnes, C. A. (2015, May). Impact of aging on brain circuits and behavior . Advances in Neural Systems Conference, Center for Learning, Memory and Emotion. New York, NY: New York University. Barnes, C. A. (2015, November). Impact of aging on brain circuits critical for normal memory function . Barrow Neurological Institute Neuroscience Conference. Phoenix, AZ: Barrow Neurological Institute. Barnes, C. A. (2015, October). Memory and the aging brain . Cognitive Sciences Working Group Meeting. Deerfield, IL: Takeda Pharmaceuticals. Barnes, C. A. (2015, October). Memory and the aging brain . WiseGuise II Lunch Group. Scottsdale, AZ. Barnes, C. A. (2015, September). Normal brain aging: Impact on circuits critical for memory . Neuroscience Graduate Program Distinguished Speaker Series. Los Angeles, CA: University of Southern California. Barnes, C. A. (2014, April). Impact on circuits for memory across species . 2014 Picower Institute Lecture. Cambridge, MA: Picower Institute for Learning and Memory, MIT. Barnes, C. A. (2014, August). Memory and the Aging Brain . Arizona Now Campaign. , La Jolla Country Club, La Jolla, CA. Barnes, C. A. (2014, August). Memory and the Aging Brain . Arizona Now Campaign. 21 Oceanfront Restaurant, Newport Beach, CA,. Barnes, C. A. (2014, August). Temporal lobe correlates of memory decline in normal aging . 2014 APA Annual Convention. Washington, DC. Barnes, C. A. (2014, February). Are the functionally important changes in aging specific to white matter alterations? . White Matter Meeting: Everything You Need and Want to Know about White Matter. Trondheim, Norway: Norwegian Institute of Science and Technology. Barnes, C. A. (2014, February). Hippocampal state: contributes from motor and sensor inputs. Session entitled Neural signals for memory in the primate medical temporal lobe . Winter Conference on Neural Plasticity. Vieques Island, Caribbean. Barnes, C. A. (2014, January). Memory and the aging brain . Keynote Speaker, Cognitive Aging Symposium. Nijmegan, The Netherlands: Donders Institute. Barnes, C. A. (2014, January). The aging brain: Keeping neurons healthy and active . Canyon Ranch Social Center. Green Valley, AZ. Barnes, C. A. (2014, January). The aging brain: Keeping neurons healthy and active . Pima Council on Aging Speaker Series. Canoa Hills Social Center, Green Valley, AZ. Barnes, C. A. (2014, July). Cognitive Circuitry Session Discussion Leader . Gordon Research Conference on Neurobiology of Cognition. Newry, ME. Barnes, C. A. (2014, July). Information processing and behavioral changes during aging . Gordon Research Conference on Neurobiology of Brain Disorders. Girona, Spain. Barnes, C. A. (2014, May). Ideas from animal models for effective human therapeutic targets . Scripps Spring Workshop on the Biology of Aging “Therapeutic Approaches for Extensing Healthspan: The Next 10 Years”. Jupiter, FL. Barnes, C. A. (2014, September). Aging and the Normal Brain . Congressional Biomedical Research Caucus.. Washington, DC: Sponsored by Coalition of Life Sciences. Barnes, C. A. (2013, August). Keynote Address: Related Changes in Brain Plasticity: Principles Derived from Medial Temporal Lobe Memory and Perceptual Systems – Are They Relevant for Understanding the Auditory System . NIA Workshop on Auditory Plasticity and Aging. Bethesda, MD. Barnes, C. A. (2013, December). Keynote Address: Effects of aging on brain circuits and behavior . Annual UA-ASU Cognitive Science Conclave. Tucsoon, AZ. Barnes, C. A. (2013, January). Closing the healthspan/lifespan gap: Scientific contributions from UA faculty . Annual Conference on Successful Aging. , University of Arizona, Tucson, AZ. Barnes, C. A. (2013, January). Memory and the aging brain . Canyon Ranch Brain Camp: An Integrative Approach to Brain & Body Wellness. Canyon Ranch, Tucson, AZ. Barnes, C. A. (2013, May). Keynote Address: Neural circuits that contribute to age-related cognitive decline . 2013 meeting of The Milwaukee Chapter of the Society for Neuroscience. Mikwaukee, WS. Barnes, C. A. (2013, November). Cognitive again across species . Brain, Cognition, and Genetics in Healthy Aging Symposium, 2013 Annual Meeting of the Society for Neuroscience. San Diego. Barnes, C. A. (2013, November). Effects of aging on behavior and temporal lobe circuits . Neuroscience Seminar Series, Pfizer Inc.,. Cambridge, MA. Barnes, C. A. (2013, November). Keynote Address: The evolving face of neuroscience: Role of women and globalization . Celebration of Women in Neuroscience Symposium, 2013 Annual Meeting of the Society for Neuroscience,. San Diego, CA. Barnes, C. A. (2013, September). Normal brain aging: Impact on circuits critical for memory . Institute of Science and Technology Colloquium Series. Klosterneuburg, Austria. Barnes, C. A. (2013, September). Some unexpected findings, and new approach . Systems Neuroscience lab meeting. Klosterneuburg, Austria. Barnes, C. A. (2014, January). From aging rats to aging monkeys: New finding, new approaches, Centre for Biology of Memory . Kavli Institute Seminar Series. Norwegian University of Science and Technology, Trondheim, Norway. Barnes, C. A. (2015, February). Hippocampal state: Contributions from motor and sensory inputs . Twenty-fifth Winter Conference on Neural Plasticity. Curacao, Netherland Antilles. Bagevalu Sidddegowda, B., Chawla, M. K., Yao, S., Barnes, C. A., & Zarnescu, D. C. (2017, November). Dynamic expression of RNA stress granule components in aging brains: From flies to rats . Program No. 712.17. Washington, DC: Society for Neuroscience. Comrie, A. E., Lister, J. P., Chawla, M. K., & Barnes, C. A. (2018, April). Sparser representation of experience with age in rate entorhinal cortex . 2018 International Conference on Learning and Memory, Irvine. Irvine, CA: University of California, Irvine. De La Pena, N., Gray, D. T., Barnes, C. A., & Pyon, W. (2018, January). Tyrosine Hydroxylase and Calcium Binding Protein Expression in the Noradrenergic System of Aged Primates . Twenty-eighth Undergraduate Biology Research Program Conference. Tucson, AZ: University of Arizona. Annadurai, A., Corenblum, M. J., Ray, S., Kirwan, K., Reed, A., Barnes, C. A., & Madhavan, L. (2017, November). Enhanced Nrf2 expression improves neural stem cell function during a critical aging period . Program No. 459.08. Washington, DC: Society for Neuroscience. Bagevalu Siddegowda, B., Chawla, M. K., Yao, S., Barnes, C. A., & Zarnescu, D. C. (2017, November). Dynamic expression of RNA stress granule components in aging brains: From flies to rats . Program No. 712.17. Washington, DC: Society for Neuroscience. Carey, N. J., Zempare, M. A., Nguyen, C. J., Bohne, K. M., Chawla, M. K., Sinari, S., Huentelman, M. J., Billheimer, D., & Barnes, C. A. (2017, November). Dissociation of performance in hippocampus- and prefrontal cortical-dependent tasks in aging fisher 344 rats . Program No. 712.18. Washington, DC. Chawla, M. K., Zhou, Y., Wang, L., Carey, N. J., Zempare, M. A., Nguyen, C. J., Hruby, V. J., & Barnes, C. A. (2017, November). Brain region-specific changes in melanocortin receptor expression in aged rat brain . Program No. 712.16. Washington, DC: Society for Neuroscience. Comrie, A., Lister, J. P., Chawla, M. K., & Barnes, C. A. (2017, November). Sparser representation of experience by aged rat Lateral Entorhinal Cortex . Program No. 712.14. 2017. Washington, DC: Society for Neuroscience. Cowen, S. L., Gray, D. T., Weigand, J., Schimanski, L. A., & Barnes, C. A. (2017, November). Age-associated changes in awake hippocampal sharp-wave ripples during spatial eyeblink conditioning . Program No. 712.21. Washington, DC: Society for Neuroscience. Do, L., Bharadwaj, P., Bernstein, A., Xiao, J., Alexander, G. E., Barnes, C. A., & Trouard, T. P. (2017, May). Bias Correction Method Improves Automatic Brain Extraction in Rodent MR Imaging . Arizona Alzheimer's Consortium Scientific MeetingArizona Alzheimer's Consortium. Gray, D. T., Smith, A. C., Burke, S. N., & Barnes, C. A. (2017, November). The alpha-2 noradrenergic receptor agonist guanfacine impairs flexible attention in young and aged macaques . Program No. 712.12. 2017 Neuroscience Meeting Planner. Washington, DC: Society for Neuroscience. Kapellusch, A. J., Lester, A. W., Schwartz, B. A., Brewster, J. R., & Barnes, C. A. (2017, November). Deficits in aged rats on the W-track continuous spatial alternation task suggest impaired hippocampal-prefrontal interactions . Program No. 712.19. Washington, DC: Society for Neuroscience. Kyle, C., Smith, A. C., Gray, D. T., Burke, S. N., & Barnes, C. A. (2017, November). Temporal contiguity predicts reward association learning in bonnet macaques . Program No. 712.10. 2017 Neuroscience Meeting Planner. Washington, DC: Society for Neuroscience. Malem-Shinitski, N., Gray, D. T., Burke, S. N., Smith, A., Barnes, C. A., & Ba, D. (2017, November). A separable state-space model of learning across trials and days in an aging study in macaque monkeys . Program No. 712.11. 2017 Neuroscience Meeting Planner. Washington, DC: Society for Neuroscience. Pyon, W., Gray, D. T., Chawla, M. K., & Barnes, C. A. (2017, November). An alternative to dye-based approaches to remove lipofuscin-induced background autofluorescence from primate brain tissue . Program No. 712.13. 2017 Neuroscience Meeting Planner. Washington, DC: Society for Neuroscience. Samson, R. D., Duarte, L., & Barnes, C. A. (2018, November). Preserved overall basal firing rates in aged rat basolateral complex of the amygdala, but neurons from aged rats are more engaged in anticipation of rewards compared to young rats . Program No. 712.20. Washington, DC: Society for Neuroscience. Shinitski, N. M., Zhang, Y., Gray, D. T., Burke, S. N., Barnes, C. A., & Demba, B. (2017, February). Can you teach an old monkey a new trick? . Computational and Systems Neuroscience (Cosyne). Salt Lake City, UT. Somasundar, V., Padmanabhan, R., Roysam, R., & Barnes, C. A. (2017, November). Semi-automated layer classification tool for defining cortical architecture . Program No. 712.15. Washington, DC: Society for Neuroscience. Trouard, T. P., Do, L., Bernstein, A., Alexander, G. E., & Barnes, C. A. (2017, November). Advanced Techniques for Characterizing Rodent Brains with Diffusion MRI. . Society for Neuroscience. Washington DC: SFN. Andersh, K. M., Gray, D. T., Smith, A. C., Burke, S. N., Gazzaley, A., & Barnes, C. A. (2016, November). Age-related attentional control and set shifting impairments arise independently in macaque monkeys . Program No. 182.14. 2016 Neuroscience Meeting Planner. San Diego, CA: Society for Neuroscience. Andersh, K., Gray, D. T., & Barnes, C. A. (2016, January). Age-related reversal learning impairment in bonnet macaques . Twenty-seventh Annual Undergraduate Biology Research Program. Tucson, AZ. Bleul, C., Chawla, M. K., Carey, N. J., Siniard, A. L., DeBoth, M. D., Barnes, C. A., & Huentelman, M. J. (2016, November). Activity regulated transcript identification in the hippocampus and the genetic association with AD risk . Program No. 182.07. 2016 Neuroscience Meeting Planner. San Diego, CA: Society for Neuroscience. Chawla, M. K., Nguyen, C., Sadacher, G. S., Gray, D. T., Huentelman, M. J., & Barnes, C. A. (2016, November). Arc mRNA induction thresholds following electro-convulsive shock treatment may be regulated by dendritic Ca++ plateau potentials . Program No. 182.08. 2016 Neuroscience Meeting Planner. San Diego, CA: Society for Neuroscience. Comrie, A. E., Gray, D. T., Burke, S. N., Smith, A. C., & Barnes, C. A. (2016, April). Different monkey models of human cognitive aging exhibit disparities in learning and performance of memory tasks . 20th Annual Posters on the Hill. Washington, DC. Comrie, A. E., Lister, J. P., Chawla, M. K., & Barnes, C. A. (2016, January). Effects of age and odors on neuronal population activity in rat lateral entorhinal cortex during track-running behavior . Twenty-seventh Annual Undergraduate Biology Research Program. Tucson, AZ. Comrie, A. E., Lister, J. P., Chawla, M. K., & Barnes, C. A. (2016, November). Activation of neuronal populations in young and aged rat Lateral Entorhinal Cortex during track-running behavior with odors . Program No. 182.09. 2016 Neuroscience Meeting Planner. San Diego, CA: Society for Neuroscience. Corenblum, M. J., Ray, S., Long, M., Harder, B., Zhang, D. D., Barnes, C. A., & Madhavan, L. (2016, February). A novel role of Nrf2 in the age-related decline in neural stem cell function . Stem Cell Models of Neural Regeneration and Disease. Dresden, Germany. Corenblum, M. J., Ray, S., Zhang, D. D., Barnes, C. A., & Madhavan, L. (2016, November). An analysis of nrf2 expression and its effects on aging hippocampal neural stem cell function . Program No. 177.17. 2016 Neuroscience Meeting Planner. San Diego, CA: Society for Neuroscience. DeBoth, M., Ianov, L., Chawla, M. K., Rani, A., Kennedy, A. J., Piras, I., Day, J. J., Sinaird, A. L., Kumar, A., Sweatt, J. D., Foster, T. C., Barnes, C. A., & Huentelman, M. J. (2016, November). Transcriptional differences among hippocampal subregions . Program No. 182.06. 2016 Neuroscience Meeting Planne. San Diego, CA: Society for Neuroscience. Gilliland, A. G., Chawla, M. K., & Barnes, C. A. (2016, January). Classification of cognitive aptitudes using the Morris swim task during the entire rodent life span . Twenty-seventh Annual Undergraduate Biology Research Program. Tucson, AZ. Gray, D. T., Wiegand, J. P., Schimanski, L. A., Cowen, S. L., & Barnes, C. A. (2016, November). Age-related reduction in signal-to-noise ratio of sharp-wave ripple oscillations following behavior in aged rats . Program No. 182.11. 2016 Neuroscience Meeting Planner. San Diego, CA: Society for Neuroscience. Ianov, L., DeBoth, M. D., Chawla, M. K., Rani, A., Kennedy, A. J., Piras, I., Day, J. J., Siniard, A. L., Kumar, A., Sweatt, J. D., Barnes, C. A., Huentelman, M., & Foster, T. C. (2016, November). Transcriptomic profile for determining regional vulnerability to age and cognitive impairment . Program No. 182.05. 2016 Neuroscience Meeting Planner. San Diego, CA:: Society for Neuroscience. Kyle, C. T., Bennett, J. L., Stokes, J. D., Permenter, M. R., Vogt, J. A., Ekstrom, A. D., & Barnes, C. A. (2016, November). Histology informed probabilistic hippocampal atlases of young and old rhesus macaques . Program No. 182.16. 2016 Neuroscience Meeting Planner. San Diego, CA: Society for Neuroscience. Lester, A. W., Kapellusch, A. J., Screen, R. T., & Barnes, C. A. (2016, November). Aged rats fail to integrate conflicting spatial reference frames . Program No. 182.10. 2016 Neuroscience Meeting Planner. San Diego, CA: Society for Neuroscience. Madhavan, L., Corenblum, M. J., Ray, S., Long, M., Harder, B., Zhang, D. D., & Barnes, C. A. (2016, November). Targeting the Nrf2 pathway to improve neural stem cell function . Program No. 198.07. 2016 Neuroscience Meeting Planner. San Diego, CA: Society for Neuroscience. Nguyen, M., Chawla, M. K., & Barnes, C. A. (2016, April). Arc fluorescence in situ hybridization in cleared whole brains utilizing hybridization chain reaction amplification . American Society for Biochemistry and Molecular Biology 2016 Annual Meeting. San Diego, CA. Nguyen, M., Chawla, M. K., & Barnes, C. A. (2016, January). Visualization of neurokinin B neurons in cleared whole brains . Twenty-seventh Annual Undergraduate Biology Research Program. University of Arizona. Pyon, W., Gray, D. T., Andersh, K. M., Permenter, M. R., Vogt, J. A., & Barnes, C. A. (2016, November). Cell counts of midbrain dopamine neurons in memory-impaired aged non-human primates . Program No. 182.15. 2016 Neuroscience Meeting Planner. San Diego, CA: Society for Neuroscience. Samson, R. D., Duarte, L., & Barnes, C. A. (2016, November). Expectation of large rewards elicits bursts of beta-band oscillations in the aged rat amygdala . Program No. 182.12. 2016 Neuroscience Meeting Planner. San Diego, CA: Society for Neuroscience. Umapathy, L., Gray, C. T., Burke, S. N., Trouard, T. P., & Barnes, C. A. (2016, November). Uncinate fasciculus integrity assessed in young and aged bonnet macaques . Program No. 182.13. 2016 Neuroscience Meeting Planner. San Diego, CA: Society for Neuroscience. Wang, C., Pacheco, S., Baggett, B., Chawla, M., Gray, D., Utzinger, U., Barnes, C., Barnes, C. A., & Liang, R. (2016, April). Whole brain imaging with a scalable microscope, Clinical and Translational Biophotonics Conference . Clinical and Translational Biophotonics Conference. Ft. Lauderdale, FL. Andersh, K., Gray, D. T., & Barnes, C. A. (2015, November). Age-related reversal learning impairments in bonnet macaques . Annual Biomedical Research Conference for Minority Students. Seattle, WA. Bharadwaj, P. K., Burke, S. N., Trouard, T. P., Chen, K., Moeller, J. R., Barnes, C. A., & Alexander, G. E. (2015, October). Age-associated regional network pattern of MRI gray matter in the bonnet macaque . 2015 Annual Meeting of the Society for Neuroscience. Chicago, IL. Chance, F. S., Maurer, A. P., Burke, S. N., & Barnes, C. A. (2015, July). Different weightings of input components to hippocampal CA1 place cells in young and aged rats . 24th Annual Computational Neuroscience Meeting. Prague, Czech Republic. Chawla, M. K., Gray, D. T., Huentelman, <. K., & Barnes, C. A. (2015, October). Is Arc mRNA expression regulated by the threshold for dendritic Ca++ plateau potentials generated from integration of entorhinal cortical inputs to granule cells? . 2015 Annual Meeting of the Society for Neuroscience. Chicago, IL. Comrie, A. E., Chawla, M. K., Gray, D. T., Baggett, B. K., Utzinger, U., & Barnes, C. A. (2015, January). Novel methods for behavior-driven molecular and structural investigation in rodent whole brain . Twenty-sixth Annual Undergraduate Biology Research Program. Tucson, AZ: UBRP. Comrie, A., Gray, D. T., Burke, S. N., Smith, A. C., & Barnes, C. A. (2015, October). Species- and aged-related differences in learning and performance on working memory tasks in two species of macaque monkeys . 2015 Annual Meeting of the Society for Neuroscience. Chicago, IL. Corenblum, M. J., Ray, S., Remley, Q. W., Long, M., Harder, B., Zhang, D. D., Barnes, C. A., & Madhavan, L. (2015, January). A novel role for nrf2 in neural stem cell function during aging . The Keap1/Nrf2 Pathway in Health Disease Conference. Cambridge, UK: Biochemical Society. Corenblum, M. J., Ray, S., Remley, Q. W., Long, M., Harder, B., Zhang, D. D., Barnes, C. A., & Madhavan, L. (2015, June). A role for Nrf2 in neural stem cell function during aging . International Society for Stem Cell Research 2015 Annual Meetin. Stockholm, Sweden. Duarte, L., Samson, R. D., & Barnes, C. A. (2015, October). Enhanced beta band activity in the aged amygdala during probabilistic decision making . 2015 Annual Meeting of the Society for Neuroscience. Chicago, IL. Gray, D. T., Ashford, S. L., Pyon, W., Burke, S. N., Smith, A. C., & Barnes, C. A. (2015, October). Behavioral evidence for enhanced interference during working memory and associative learning tasks in aged macaques . 2015 Annual Meeting of the Society for Neuroscience. Chicago, IL. Koutia, A. J., Lester, A. W., & Barnes, C. A. (2015, January). Studying the effects of age on visual cue-based spatial navigation using a novel behavioral apparatus . Twenty-sixth Annual Undergraduate Biology Research Program. University of Arizona, Tucson: Undergraduate Biology Research Program. Kyle, C., Permenter, M. R., Vogt, J. A., & Barnes, C. A. (2015, October). Behavioral impact of long-term chronic implantation of neural recording devices in the rhesus macaque . 2015 Annual Meeting of the Society for Neuroscience. Chicago, IL. Lester, A. W., Koutia, A. J., & Barnes, C. A. (2015, October). Age-related changes in external cue-based navigation in the medial entorhinal-hippocampal network . 2015 Annual Meeting of the Society for Neuroscience. Chicago, IL. Liang, R., Wang, C., Pacheco, S., Baggett, B. K., Chawla, M. K., Gray, D. T., Utzinger, U., & Barnes, C. A. (2015, October). Understanding behavioral networks: A novel, scalable microscope designed to enable whole brain imaging of behavior-driven circuits with subcellular resolution . 2015 Annual Meeting of the Society for Neuroscience. Chicago, IL. Madhavan, L., Corenblum, M. J., Ray, S., Long, M., Harder, B., Zhang, D., & Barnes, C. A. (2015, October). A role for Nrf2 in neural stem cell function during aging . 2015 Annual Meeting of the Society for Neuroscience. Chicago, IL. Nguyen, M., Chawla, M. K., & Barnes, C. A. (2015, December). Visualization of neurokinin B neurons in cleared whole brains . The American Society for Cell Biology Annual Meeting. San Diego, CA..
Samson, R. D., & Barnes, C. A. (2015, March). Age differences in strategy selection and risk preference during risk-based decision making . Decision Neuroscience and Aging Conference. Miami, FL. Samson, R. D., Duarte, L., & Barnes, C. A. (2015, October). Enhanced single unit firing to unexpected large rewards in aged amygdala neurons . 2015 Annual Meeting of the Society for Neuroscience. Chicago, IL. Takamatsu, C., Gray, D. T., Uprety, A. R., Espinoza, A. I., Koutia, A. K., Zavilla, A., Comrie, A. E., & Barnes, C. A. (2015, January). Understanding the role of inhibitory interneurons in cognitive aging . Twenty-sixth Annual Undergraduate Biology Research Program. University of Arizona, Tucson: Undergraduate Biology Research Program. Weigand, J. P., Gray, D. T., Schimanski, L. A., Lipa, P., Barnes, C. A., & Cowen, S. L. (2015, October). Time-dependent decrease in the peak frequency and power of hippocampal sharp-wave ripples and high-gamma events during post-behavior sleep in aged and young rats . 2015 Annual Meeting of the Society for Neuroscience. Chicago, IL. Chawla, M. K., Gray, D. T., Comrie, A. E., Baggett, B. K., Utzinger, U., & Barnes, C. A. (2014, November). Novel method for behavior-driven molecular and structural investigation in rodent whole brain . 2014 Annual Meeting of the Society for Neuroscience. Washington, DC. Corenblum, M. J., Ray, S., Long, M., Harder, B., Zhang, D. D., Barnes, C. A., & Madhavan, L. (2014, December). Nfe2l2 modulates neural stem cell function during aging . Stem Cell Energetics Symposium. Berkeley, CA. Cowen, S. L., Wiegand, J., Gray, D. T., Schimanski, L. A., Lipa, P., & Barnes, C. A. (2014, November). Age-associated changes in spike-timing of hippocampal principal cells and interneurons during ripple oscillations . 2014 Annual Meeting of the Society for Neuroscience. Washington, DC. Espinoza, A. I., Uprety, A. R., Lipa, P., Thorne, A., Hindley, T. R., & Barnes, C. A. (2014, January). Frontal cortical gamma frequency slowing in aging: Can C6 rescue cortical synchrony and decision speed? . Twenty-fifth Annual Undergraduate Biology Research Program. Fakurnejad, S., Engle, J. R., Gray, D. T., Burke, S. N., Plange, K., Recanzone, G. H., & Barnes, C. A. (2014, April). Normal aging is associated with sensory impairments in non-human primates . Twenty-fifth Annual Undergraduate Research, Scholarship and Creative Activities Conference. University of California at Davis: Davis, CA. Gray, D. T., Thome, A., Erickson, C. A., Lipa, P., Takamatsu, C. L., Comrie, A. E., & Barnes, C. A. (2014, November). Selective changes in inhibitory networks of the medical temporal lobe correlate with behavioral and electrophysiological deficits in aged rhesus macaques . 2014 Annual Meeting of the Society for Neuroscience. Washington, DC. Han, P., Permenter, M. R., Vog, J. A., Engle, J. R., Barnes, C. A., & Shi, J. (2014, November). PACAP expression is downregulated in aged nonhuman primates . 2014 Annual Meeting of the Society for Neuroscience. Washington, DC. Insel, N., & Barnes, C. A. (2014, July). Neuron population activity in the medial prefrontal cortex suggests superimposed codes for situation and situation value . Twenty-third Annual Computational Neuroscience Meeting. Quebec City, Canada. Miller, M. A., Mehravar, S., Gray, D. T., Koshy, A. A., Cabral, C. M., Chawla, M. K., Kieu, K. Q., Barnes, C. A., & Cowen, S. L. (2014, November). Non-linear optical imaging: A powerful new technique for acquiring high-resolution brain images and possible application for identifying cell types and neuronal activity . 2014 Annual Meeting of the Society for Neuroscience. Washington, DC. Richards, A., Uprety, A. R., Alexander, G. E., Trouard, T. P., Mitchell, K. D., & Barnes, C. A. (2014, January). Cognitive and physiological changes that occur with gradual induction of hypertension in a Cyp1a1-Ren2 middle age transgenic rodent model . Twenty-fifth Annual Undergraduate Biology Research Program. Samson, F. D., Lester, A. W., Lipa, P., & Barnes, C. A. (2014, November). Aging is associated with altered intrinsic neural dynamics in the basolateral complex of the amygdala . 2014 Annual Meeting of the Society for Neuroscience. Washington, DC. Siniard, A. L., Schrauwen, I., Corneveaux, J. J., Peden, J., Turk, M. N., De Both, M. D., Richholt, R. F., Mueller, M., Langbaum, J., Reiman, E., Caselli, R., Coleman, P., Barnes, C., Glisky, E., Ryan, L., & Huentelman, M. J. (2014, November). The influence of demographic and disease risk factors on paired associates learning in an internet recruited cohort of over 29,000 individuals . 2014 Annual Meeting of the Society for Neuroscience. Washington, DC. Uprety, A. R., Espinoza, A. I., Richards, A., Smith, A. C., & Barnes, C. A. (2014, November). Behavioral of normal aged rats mimics the pattern of task performance of rats with hippocampal lesions on a W-track continuous spatial alternation task . 2014 Annual Meeting of the Society for Neuroscience. Washington, DC. Wiegand, J., Gray, D. T., Schimanski, L. A., Lipa, P., Barnes, C. A., & Cowen, S. L. (2014, November). Age-related changes in high-frequency local field activity in the rodent hippocampus during ripple and inter-ripple periods . 2014 Annual Meeting of the Society for Neuroscience. Washington, DC. Burke, S. N., Maurer, A. P., Cowen, S. L., & Barnes, C. A. (2013, November). Perirhinal cortical interneurons exhibit reduced firing rate with advanced age . Annual Meeting of the Society for Neuroscience. San Diego, CA. Change, F. S., Maurer, A. P., Burke, S. N., & Barnes, C. A. (2013, November). Dual input component models of CA1 activity in young and aged rats . 2013 Annual Meeting of the Society for Neuroscience. San Diego, CA. Chawla, M. K., Sedhadia, N., Olson, K., Alme, C. B., Moser, E. I., Moser, M. -., McNaughton, B. L., & Barnes, C. A. (2013, November). Mass trial induced under-expression of Arc mRNA in rat hippocampal neurons . 2013 Annual Meeting of the Society for Neuroscience. San Diego, cA. Engle, J. R., Archibeque, M. J., Permenter, M. R., Vogt, J. A., Dugger, B. N., Beach, T. G., & Barnes, C. A. (2013, November). Cerebral amyloid deposition and phosphorylated tau: relationships between age and cognitive status in the rhesus macaque . 2013 Annual Meeting of the Society for Neuroscience. San Diego, CA. Espinoza, A. I., Uprety, A., Thome, A., & Barnes, C. A. (2013, Jan). Rescuing age-related behavioral slowing via pharmacological enhancement of cortical gamma oscillations. Twenty-Fourth Annual Undergraduate Biology Research Program . Twenty-fourth Annual Undergraduate Biology Research Program. University of Arizona, Tucson, AZ. Ferng, J. J., Burke, S. B., & Barnes, C. A. (2013, January). Hippocampal place field activity in rats trained to walk forward and backwards . Twenty-fourth Annual Undergraduate Biology Research Program. University of Arizona, Tucson, AZ. Hay, M., Constantopoulos, E., Uprety, A. J., Samareh-Jahani, F., Barnes, C. A., & Konhilas, J. P. (2013, November). Cognitive dysfunction in heart failure and a protective role for angiotensin (1-7) . 2013 Annual Meeting of the Society for Neuroscience. San Diego, CA. Lester, A. W., Maurer, A. P., Burke, S. M., & Barnes, C. A. (2013, November). Preserved neural dynamics during reverse locomotion . 2013 Annual Meeting of the Society for Neuroscience. San Diego, CA. Liang, J., Lister, J. P., & Barnes, C. A. (2013, January). Aging does not affect the proportion of dorsal medial entorhinal cortex cells active during track running behavior . Twenty-fourth Annual Undergraduate Biology Research Program. University of Arizona, Tucson, AZ. Lister, J. P., Liang, J., & Barnes, C. A. (2013, November). Effect of age and changing odors on population activity in the medial entorhinal cortex during track running behavior . 2013 Annual Meeting of the Society for Neuroscience. San Diego, CA. Lu, L., Leutgeb, J. K., Tsao, A., Henriksen, E. J., Leutgeb, S., Barnes, C. A., Witter, M. P., Moser, M. -., & Moser, E. I. (2013, November). Impaired hippocampal rate remapping following lesions in the lateral entorhinal cortex . 2013 Annual Meeting of the Society for Neuroscience. San Diego, CA. Maurer, A. P., Thome, A., Bohne, K. M., Archibeque, M. J., Permenter, M. R., Vogt, J. A., Sprawla, K., Engle, J. R., & Barnes, C. A. (2013, November). Telemetric recordings from temporal lobe of a freely moving primate . 2013 Annual Meeting of the Society for Neuroscience,. San Diego, CA. Plange, K., Engle, J. R., Burke, S. N., Gray, D. T., & Barnes, C. A. (2013, November). Changes in sensory function are correlated with cognitive impairments in bonnet monkeys . 2013 Annual Meeting of the Society for Neuroscience. San Diego, CA. Salt, I., Kumar, S., Lister, J. P., & Barnes, C. A. (2013, January). Expression of the immediate early gene Arc while running on a wheel is similar to when exploring a spatial environment . Twenty-Fourth Annual Undergraduate Biology Research Program. University of Arizona, Tucson, AZ. Siniard, A. L., Corneveaux, J. J., Allen, A. N., Chawla, M. K., Turk, M. N., Reiman, R. A., Rose, H. E., Barnes, C. A., & Huentelman, M. J. (2013, November). Activity regulated transcript identification in the hippocampus and the genetic association with AD . 2013 Annual Meeting of the Society for Neuroscience. San Diego, CA. Thome, A., Chawla, M. K., Ramirez, V., Marrone, D. F., Lipa, P., Ellmore, T. M., McNaughton, B. L., & Barnes, C. A. (2013, November). Large scale molecular imaging of hippocampal network activity during real and virtual navigation in freely behaving primates . 2013 Annual Meeting of the Society for Neuroscience. San Diego, CA. Uprety, A. R., Lipa, P., Thome, A., Espinoza, A. I., Hindley, T. R., & Barnes, C. A. (2013, November). Frontal cortical gamma frequency slowing in aging: Can C6 rescue cortical synchrony and decision speed? . 2013 Annual Meeting of the Society for Neuroscience. San Diego, CA. Veeravelli, S., Yoshimaru, E., Hoang, L. T., Valdez, M., Alvarez, A., Barnes, C. A., & Trouard, T. P. (2013, January). Magnetic resonance imaging of the neurological effects of hypertension . Twenty-fourth Annual Undergraduate Biology Research Program. University of Arizona, Tucson, AZ. Xiong, M., Lister, J. P., & Barnes, C. A. (2013, January). Columnarity measurements and changes in cognitive performance in the aging brain . Twenty-fourth Annual Undergraduate Biology Research Program. University of Arizona, Tucson, AZ. Xiong, M., Morrison, W., Lister, J. P., Barnes, C. A., Cruze, L. R., & Rosene, D. L. (2013, November). Effect of aging on the microcolumnar structure of entorhinal cortex: correlation with performance on the spatial Morris water maze test . 2013 Annual Meeting of the Society for Neuroscience. San Diego, CA.